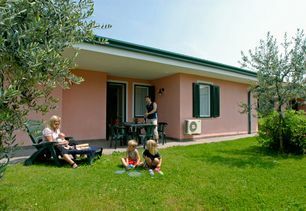 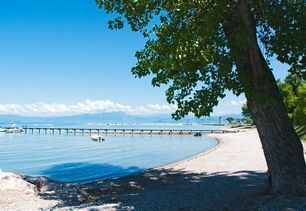 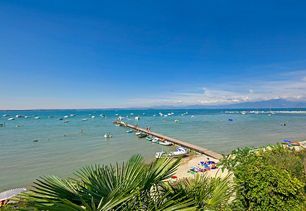 Le Palme Camping lies directly on Lake Garda shores, at short distance from Lazise and Peschiera del Garda, in one of the most suggestive corner of the so called Riviera degli Olivi (olive trees Riviera), where nature preserves its predominant role. 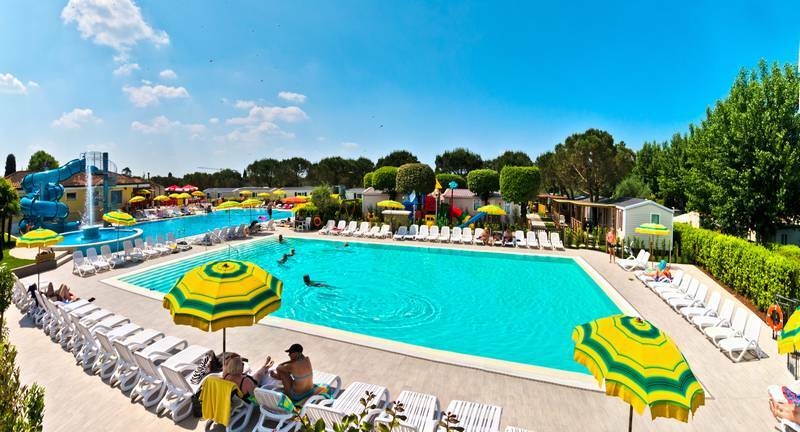 The tranquillity and beauty of these places make Le Palme Camping the ideal oasis to spend your holidays. 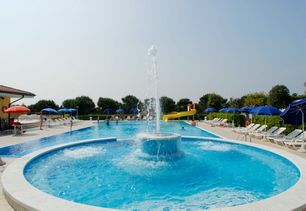 The camping is located few kilometers from Gardaland, Movieland, Caneva, Thermal Park Villa dei Cedri and other parks of the area. 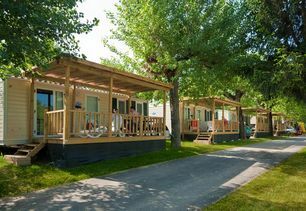 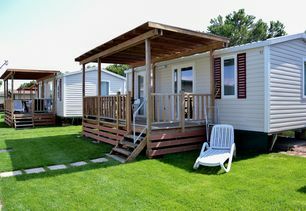 Le Palme Camping provides several kinds of accommodations with different price categories, all equipped with kitchenette, sink and refrigerator, kitchenware, bathroom with shower, air conditioning and heating. 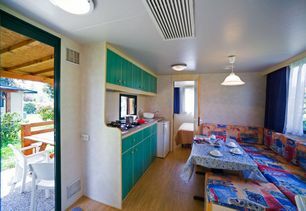 The campsite have also 150 pitches for caravans, tends or campers, all shaded and immerse in natural surrounding, and equipped with electricity, drinking water, draining and parking. 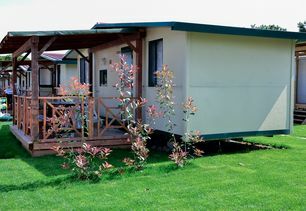 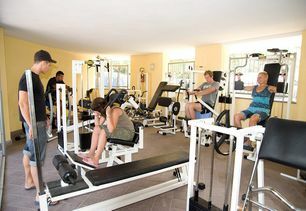 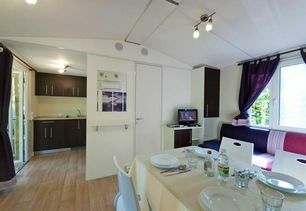 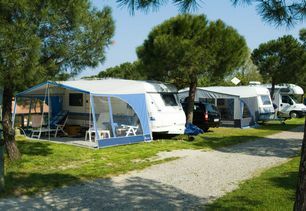 Le Palme Camping offers to its guests a big choice of services. 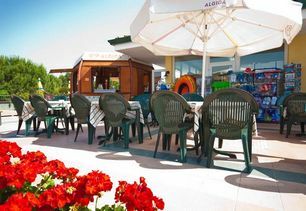 In the camping you will find a mini market with bazar, a bar/restaurant/pizzeria and one more bar in the pool area. 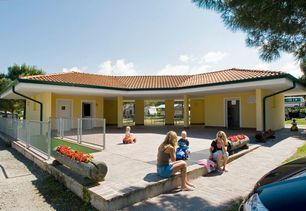 The camping also have a recreation ground for children, an external parking place and a new underground parking place. 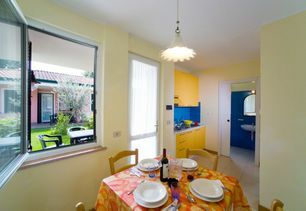 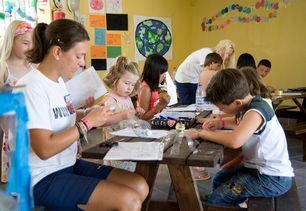 At your disposal you can find three groups of heated bathrooms with toilettes, showers with hot water and toilet paper, laundry rooms with washing machines, dryer and ironing room, baby room.During the middle and high season a doctor-pediatrician comes every day in our practice. 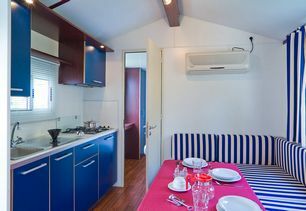 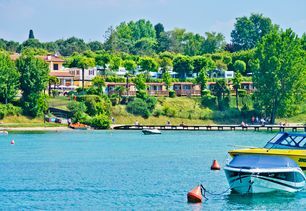 The whole surface of the camping is covered with Wi-Fi connection (with fee).It is possible to rent refrigerators, sheets and towels, bicycles, buoys to moor your boat and parking places for boat trailers. 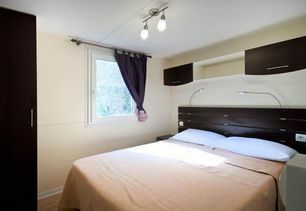 Furthermore there is the possibility to hire a private bathroom, in case you wish to enjoy more privacy. 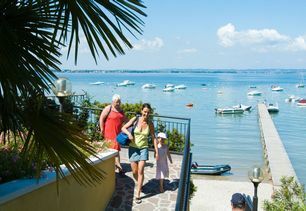 We offers our guests discounts and reductions with amusements parks, wine cellars and shops of the area. 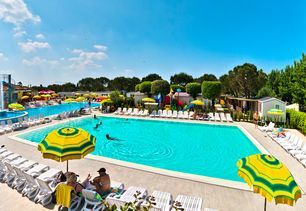 You will have direct contact with Camping Le Palme from this site: You can send in your requests and get personalized service.